Located in a place called Adalaj (outskirts of Ahmedabad) is this nonsectarian Trimandir which was inspired by Param Pujya Dadashree. It is a magnificent two storey structure which has in it a splendid hall in the 1st floor and the temple in the 2nd floor. 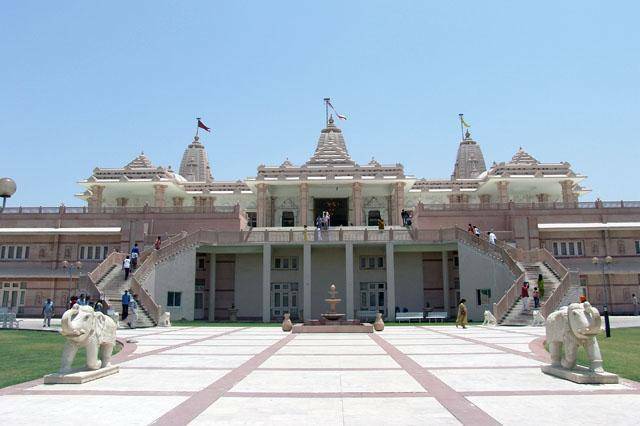 It's known a tri mandir because the temple has idol of 3 God namely: - Lord Shiva, Lord Krishna and Lord Mahavir. The temple also has a museum and a theatre which gives information about temple and the deities. The beautiful environment of the temple coupled with its holiness will surely provide one which mental peace and sense of happiness. Enjoy its impressive architecture, ambience and its goodness with your loved ones.